The hurricane brought down power in Puerto Rico where many IV bags are made. Hurricane Maria slammed into Puerto Rico nearly five months ago, but its devastating impact continues to be felt, including in a national shortage of critically important, small medical fluid-filled bags for delivering nutrients or medicines to patients intravenously. Medical-supply giant Baxter International, one of the leading manufacturers of IV bags, has three factories in Puerto Rico. After Maria hit the island on Sept. 20, bringing down its power grid, Baxter's three factories there were temporarily shut down. Only recently has the company been able to fully restore operations in the last of the three. Daily, hospitals go through hundreds or thousands of IV bags filled with a solution of nutrients, antibiotics or painkillers and which are typically fastened to a pole and connected intravenously to a patient. Medical centers for cancer treatment and dialysis as well as homebound patients also need IV bags. Concern spread when shortages of the small bags meant that orders by various health facilities and hospital weren't always being completely fulfilled. 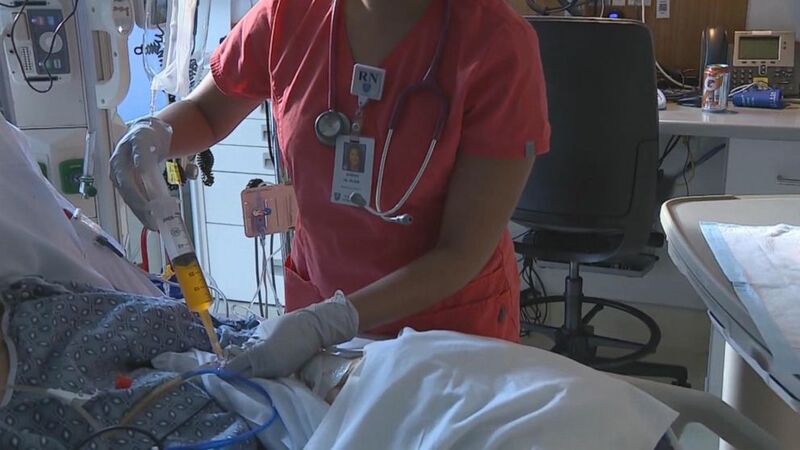 (WCVB) Due to a widespread shortage of IV bags connected to Hurricane Maria, a patient in need of vital fluids is being pumped with Gatorade via a stomach tube at Massachusetts General Hospital in Boston. "Some facilities are getting virtually zero," David Chen, a pharmacy director with Promedica which operates 13 hospitals in Ohio and Michigan said. "Others are having them trickle in. You never know what you're going to get." Because of the limited number of the drip bags, some hospital staffs instituted workarounds such as giving pills instead of drips or using syringes to inject critical fluids; but that has threatened to cause a shortage in syringes. "I have never seen anything quite this bad," Connie Sullivan, head of research and innovation at the National Home Infusion Association said. "I see it as a crisis,” Deborah Pasko, director of medication safety and quality at the American Society of Health System Pharmacists said. With the arrival of a powerful strain of the flu there is even more demand for critical hydrating fluids, Pasko said. 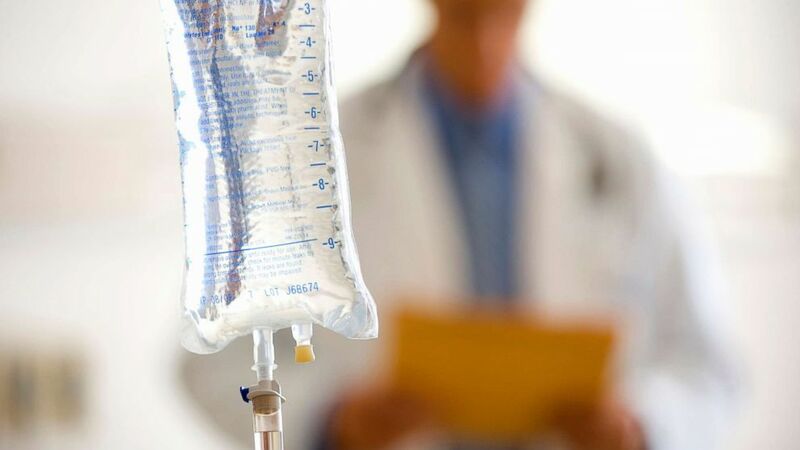 (STOCK PHOTO/Getty Images) An intravenous bag is pictured in this undated stock photo. "If we can't support patients coming in emergency rooms who have the flu, more people are going to die," she said. The FDA admitted the "production situation in Puerto Rico remains fragile" and has attempted to boost the supply of IV by allowing two additional companies beyond Baxter to start selling saline bags over the next few months.